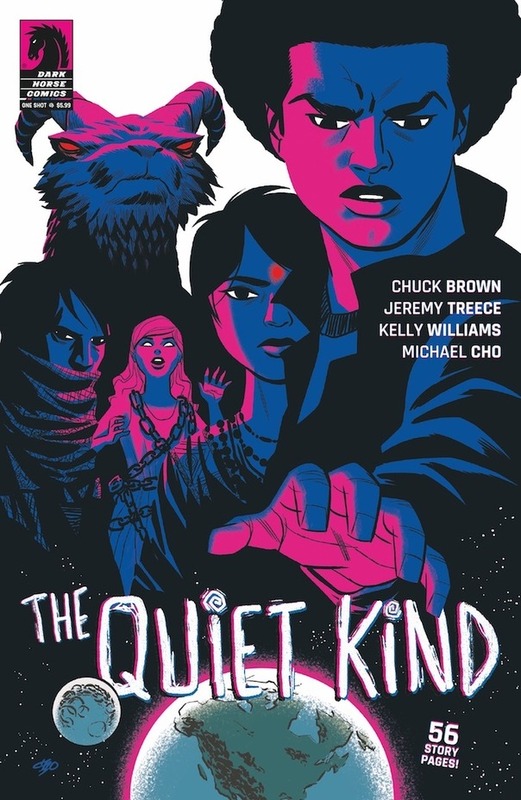 Join acclaimed writer Chuck Brown (Bitter Root, The Punisher, Black Panther) and artist Jeremy Treece (Angel: Season Six, Fantastic Four) as they explore what it means for young, marginalized children to suddenly find themselves in possession of a great, cosmic power in a new Dark Horse one-shot, The Quiet Kind! The Quiet Kind is a tale of power, revenge, and empathy as a young boy named Solomon is suddenly imbued with the powers of ancient gods. After a visit by a band of similarly-gifted children, Solomon must decide whether to use his powers for good or risk unraveling existence itself just to seek vengeance on his bullies. The Quiet Kind goes on sale July 17, 2019 and is available for pre-order at your local comic shop. This oversized, 64-page issue features an 8-page prequel story illustrated by Kelly Williams (Creepy Comics, A Letter To Jo) and features a cover by Michael Cho!